LEADERSHIP COMPETENCIES - Kara Keating, M.A. The Organizational Leadership course was an introduction to strategies in leadership, which included learning to dialogue with others, describing dysfunctional leadership and organizational thinking and behavior, and understanding problems through multiple frameworks. This course set the stage for my own personal leadership development and creative thinking about my own frameworks as a leader. 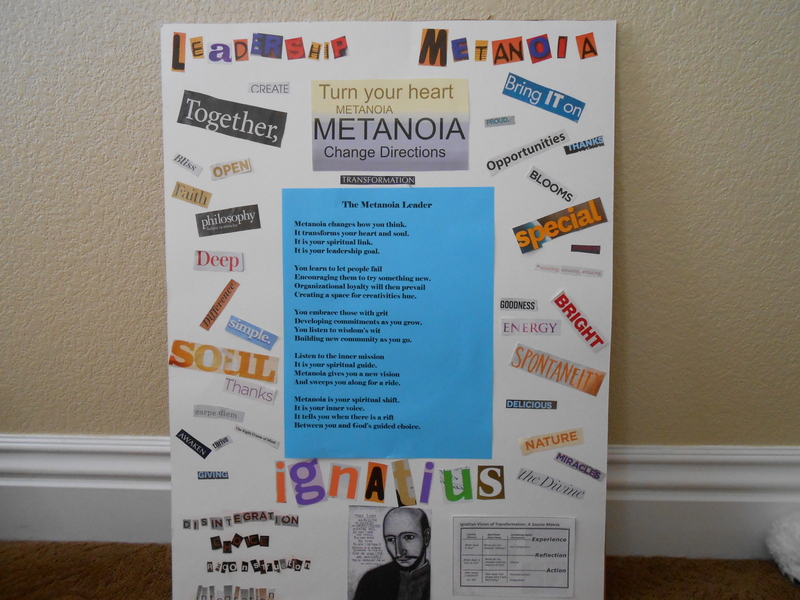 Leadership and Imagination was my introduction to the stages of St. Ignatius of Loyola's transformation as a leader. ORGL 502 was an on-campus intensive focused on using art, drama, music, dance, and improvisational comedy to understand the dynamics of the creative process in leadership to be cultivated and actualized within organizations. 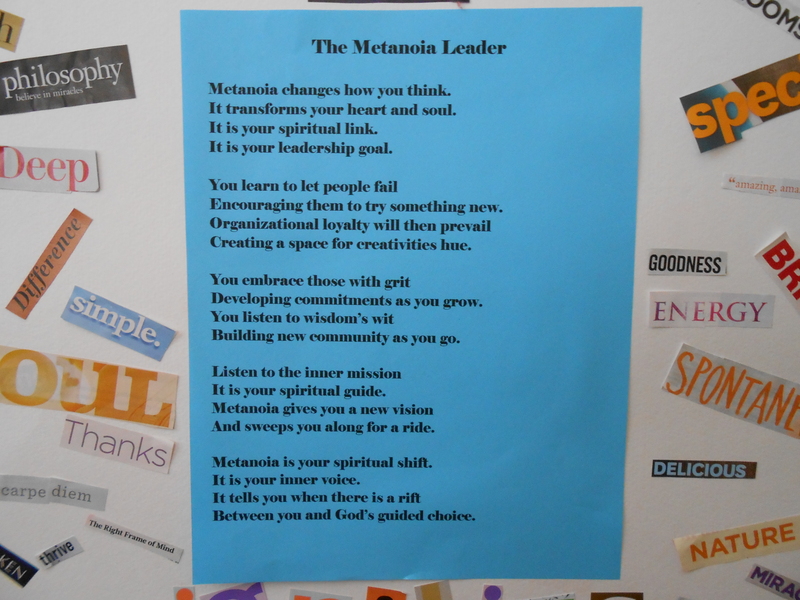 My final project was an artistic rendition of metanoia, which means our transformation. The purpose of the Organizational Ethics course was to be able to describe personal responses to ethical problems. 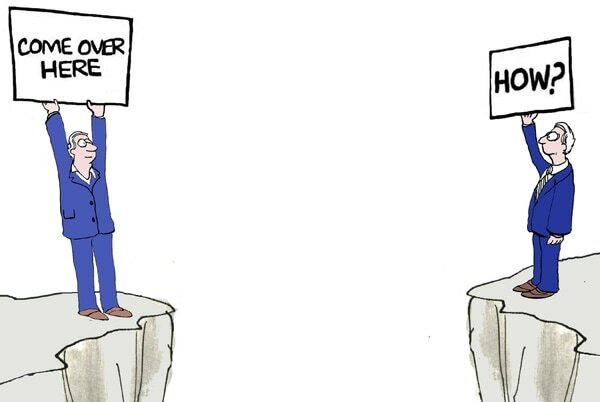 Ethics is not simply about what is perceived as right and wrong; rather, ethics is about learning to balance personal core values with organizational values. ORGL 503 was focused on how to create shared values as well as analyze ethical dilemmas to create effective strategies. Organizational Communications focused on the challenges regarding leadership and communications in organizational settings. The course looked at different organizational theories in relationship to communication structures. Projects included creating a communications audit as well as a team PowerPoint research project presentation. This course helped me create the communications audit, which became the foundation of my leadership project for the program. Organizational Theory focused on the four frames of organizations outlined by Bolman and Deal - structural, human resource, political, and symbolic frames , and it combined the frames with the insights of Gareth Morgan's Images of Organizations to look at organizations through different perspectives. This couse helped me gain a broader perspective in which to look at organizational challenges, and it taught me the value of self-awareness of looking at my own frames of reference. I completed a narrated, group research presentation on a national company through the frames of organizational theory. 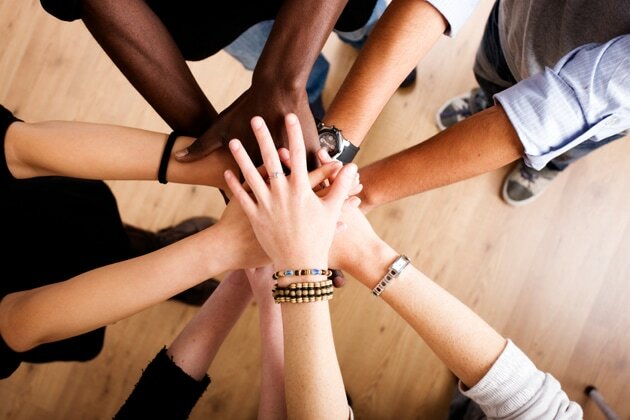 Leadership and Diversity focused on the impact of race, class, and gender on intercultural communications within an organization. The course taught me how to narrow a research question, create an annotated bibliography, complete a literature review, and culminate the information into a final, teachable PowerPoint presentation for my organization. This course also introduced St. Ignatius' prayer practice called the Examen, which has been instrumental in my own spiritual growth to see God in everything. Leadership and Community Empowerment Collaboration and Dialogue was an in-person intensive course located at a Benedictine Monastery, St. Andrew's Abbey, in Valyermo, California. The focus of the course was to look at the rhythms of community by utilizing the Benedictine model as a foundational and reflective resource. The course included reflection on the Johari Window, St. Ignatius' transformation, Benedictine Compline prayer practices, St. Benedict's Rule, Peter Block's book on Community, and healthy independence and interdependence in community. As the first course in the servant-leadership concentration, ORGL 530 introduced the key concepts of Robert Greenleaf's work. The purpose of the course was to analyze organizations with the framework of servant-leadership philosophy, apply human development theory models, assess leadership styles, and create a personal philosophy of servant-leadership. A particular emphasis was placed on the importance of listening as the first act of any servant leader. Leadership, Justice, and Forgiveness focused on servant-leadership philosophy in relationship to restorative justice and forgiveness. This course was reflected on human atrocities and suffering looking at a holistic concept of personhood. Students gained an understanding freedom and responsibility in the self that is also responsible for the well-being of others, Ubuntu. This course influenced my own personal philosophy of Ubuntu; every major religion in the world has a version of the Golden Rule. This course reinforced for me how intertwined we are with each other. As an on-campus intensive course, Foresight and Strategy focused on Otto Schamer's work with Theory U to develop system's thinking by demonstrating the capacity to reflect and apply strategy to a global systems framework. Students developed skills in using collective intelligence, implementing the methodology of Theory U, developing the capacity for pathfinding-foresight, and seeing the central ethical applications for servant-leadership. Final projects were to implement the U Tools Prototyping model and to create a global systems view of servant-leadership. This course helped solidify my servant-leadership philosophy. As the final capstone of the Organizational Leadership program, Leadership Seminar focused on creating a portfolio that included a leadership project, core competencies, and evidence of competencies and knowledge obtained. This course brought together the work completed over two and a half years into an accumulative source of learned competencies. Applied Communication Research focused on creating a research prospectus or project proposal. Key areas of focus were to define and limit a research topic, create a literature review synthesizing current research materials, working with relevant theoretical models/approaches, and generating defensible research/project rationals. This course showed me that there is a need and place for research on spirituality and leadership. The research prospectus showed me areas of ambiguity in mindfulness and spirituality research, and the need for additional research to be conducted. American Psychological Association. (2001). Publication manual of the APA, (6th ed.). New York: APA. Eliot, T. S. (1964). Murder in the cathedral. New York: Harvest. Freire, P. Pedagogy of the oppressed. New York: Continuum, 2000. Kouzes, J. M. & Posner, B. Z. (2008). The leadership challenge. San Francisco: John Wiley & Sons. Palmer, P. J. (2007). The courage to teach . San Francisco: Jossey-Bass. Wheatley, M. J. (2006). Leadership and the new science:Discovering order in a chaotic world, (3rd ed.). New York: Barrett-Koehler. Yukl, G. A. (2009). Leadership in organizations, (7th ed.). Paramus: Prentice Hall. Zinneman, F. (director). (1966/1999). A man for all seasons. Columbia, Tri-Star. Duigan, J. (director). (1989/2009). Romero. Vision Video. Luhrman, B. (director). (1993/2002). Strictly ballroom. Miramax. (n.d.). The Johari Window as a Framework for EFfective Communication and Empath. Kouzes, J. M., & Posner, B. Z. (2003) Credibility: How leaders gain and lose it, why people demand it. San Francisco, CA: Jossey-Bass. Nicholi, A. M. (2002). The Question of God. New York, NY: The Free Press. Fonda, H., & Rose, R. (Producer), & Lumet, S. (Director). (1957). 12 angry men. (Motion picture). United States: Orion-Nova Productions. Conrad, Charles, and Marshall Scott Poole (2012, Seventh Edition). Strategic Organizational Communication in a Global Economy (Wiley-Blackwell, West Sussex, UK). Downs, C., and A. Adrian (2004). Assessing Organizational Communication: Strategic Communication Audits (New York: Guilford Press). Howard, R. (Director).Howard, R. (Director). (1995). Apollo 13 [Motion picture]. USA. Bolman, L. & Deal. (2008). Reframing Organizations: Artistry, Choice and Leadership. (4th edition) San Francisco: Jossey-Bass. Helgesen, S. (2005). 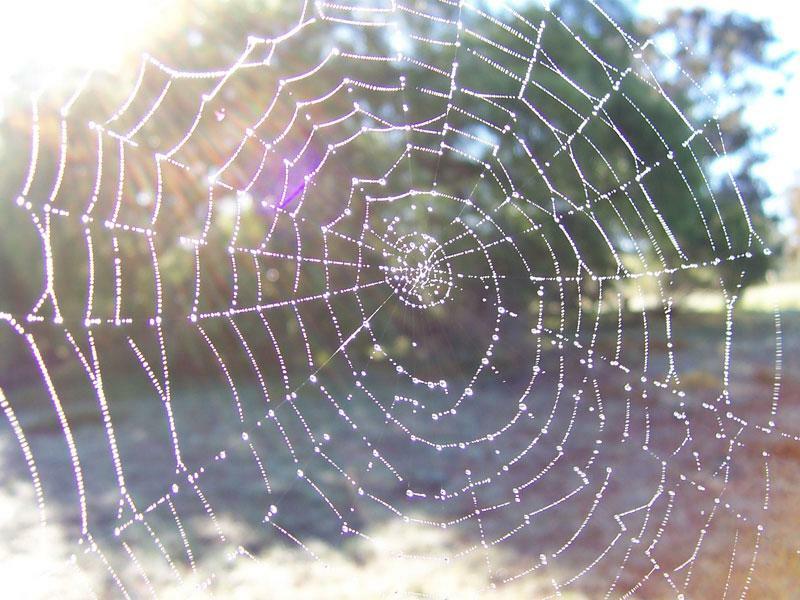 The Web of Inclusion: A New Architecture for Building Great Organizations. New York: Currency/Doubleday. Morgan, Gareth. (2006). Images Of Organization. Thousand Oaks: Sage Publications, Inc.
Collins. (2002). Good To Great. New York: Harper Collins. Allen, B. (2010). Difference Matters: Communicating Social Identity, 2nd ed. Longrove, IL: Waveland Press. Bordas, J. (2007). Salsa, Soul, and Spirit: Leadership for a Multicultual Age. San Francisco: Berrett Koehler. Casey, M. (2001). A Guide to living in the truth: Saint Benedict’s teaching on humility. Liguori, MO: Liguori/Triumph. Dysinger, L. (ed.). (1997). The rule of Saint Benedict: Latin & English. Trabuco Canyon: Source Books; or equivalent there are several translations. Palmer, P. J. (1993) To Know as We Are Known: A spirituality of education. San Francisco: Harper. ISBN: 0060664517C. Hesse, H. (1988). (Hilda Rosner -Trans.). The journey to the East. New York: Noonday Press. ISBN # 0374500363. Greenleaf, R. K. (2002). Servant leadership: A journey into the nature of legitimate Dr. John H. Horsman Gonzaga University 8/7/2015 3 power and greatness. New York: Paulist Press. ISBN# 0809105543. Thompson, M. C. (2000). The congruent life. Hoboken: Jossey-Bass. ISBN: 0787950084. Greenleaf, R. K. (1998). The power of Servant Leadership. San Francisco: BerrettKoehler. ISBN-10: 1-57675-035-3. Sipe, J. W. & Frick, D. M. (2009). Seven pillars of servant leadership: Practicing the wisdom of leading by serving. Mahwah, NJ: Paulist Press. ISBN # 13: 978-0-8091-4560-7. Eastwood, C. (director). (2009). Invictus. USA: Warner Bros.
Sargent, J. (director). (January, 2005). Something the Lord made. USA: Warner. Ferch, S. R. (2012). Forgiveness and Powr in the Age of Atrocity. Lanham: Lexington Books. King, C. S. (1993). My Life with Martin Luther King, Jr. New York: Puffin Books. Tutu, D. (1999). No Future Without Forgiveness. New York: Doubleday. Wiesel, E. (1958). Night. New York: Hill and Wang. Wiesenthal, S. (1997). The Sunflower. New York: Schocken Books. Briskin, A., Erickson, S., Ott, J. & Callanan, T. (2009). The power of collective wisdom: And the trap of collective folly. San Francisco: Barrett-Koehler. Jaworski, J. & Flowers, B. L. (Ed.). (2012). Source. The inner path of knowledge creation. San Francisco: Barrett-Koehler. Scharmer, C. O. & Kaufer K. (2013). Leading from the emerging future: From ego- system to eco-system economies-applying Theory U to transforming business, society, and self. San Francisco: Barrett-Koehler.